Learn to say no to meetings and work in 90 minute intervals, payfort has 7 tips for you to be more productive at work. With only so many hours in the day, improving workplace productivity is something many of us strive towards. When you break it down, there are really only two options when it comes to being more efficient; either put in more time OR work smarter. We don’t know about you, but in our office we prefer the second choice. Being more productive at work isn’t brain surgery, but it does require discipline and an awareness of how you are spending you time. 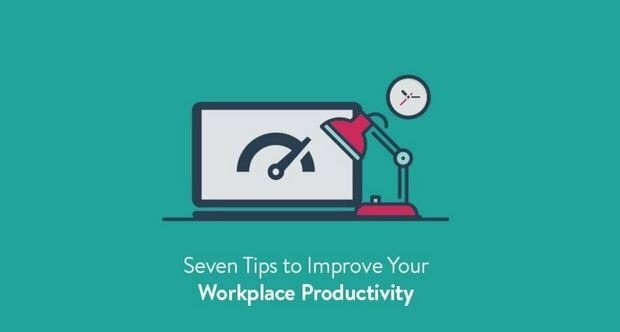 In this week’s post we’re going to be walking you through seven simple strategies you can implement to increase your productivity and make your work day more efficient. 1. Track your time and limit how much you spend on a single task. You probably think you’re pretty good at judging how much time you’ve spent on a project don’t you? Unfortunately, if you’re like the majority of the human population, you’re not as good as you think. Research suggests that only 1 in 5 people are able to accurately estimate the passage of time. Taking a few extra seconds to note when you start and stop a particular task can make a big difference in how you track time. Once you understand what tasks you’re doing well and which are taking longer than expected, you can start to make the necessary changes. To a lot of people this one might seem counterintuitive, but there is substantial research that shows taking scheduled breaks helps to improve concentration and refresh your creative juices. Taking a short break during long tasks might mean that 10 mins passes with no work being completed, but by keeping your overall performance higher, this lost time can be quickly recouped. 3. Say no to meetings. Another surprising time killer in most offices are meetings. Believe it or not most employees cite meetings as one of their biggest time-sinks and yet we continue to book them. According to Atlassian, the average office worker spends a quarter of their work month in meetings that they feel are unproductive. So before you book your next meeting, take a couple extra minutes to ask whether you can achieve the solution using email, phone, or a web-based tool; if the answer is yes, cancel that meeting. Stress is often viewed as a negative in many work environments and even day to day life, but the truth is, a manageable level of ‘self-imposed stress’ can actually help to provide focus, prioritize tasks, and meet goals. If you find yourself working on an open-ended project, try setting a personal deadline and work hard to stick to it. It might surprise you to discover how focused you can be when you have to watch the clock. While you might think that the ability to multitask is important to improving efficiency, the reality for most is actually the opposite. Research suggests that for the majority of the population attempting to do several tasks at the same time results in lower productivity and lower quality work. Instead of trying to juggle everything at once, take the time set priorities and stick to a single task before moving on to the next. The fact is humans are not able to effectively resist the allure of a new email, social media notification, or text message. Rather than fight your natural instincts to pick up you phone every time it ‘dings’, turn off notifications during work hours. Instead, schedule a block of time during your day to check in on personal emails, social media and texts. Having a consistent routine will help to limit these distractions. 7. Schedule your work in 90-minute intervals. Research has shown that elite performers across a range of different fields (think athletes, musicians, entrepreneurs, etc.) who limit themselves to work intervals of 90 minutes or less, are actually more productive than those who grind and push beyond 90 minutes. The same researchers found that across nearly every task studied, the top performers tended to work no more than 4.5 hours per day. So if you feel like you need to give your productivity a boost, resist the temptation to work longer hours. Instead, step back, and try implementing the above strategies to work smarter, not harder.